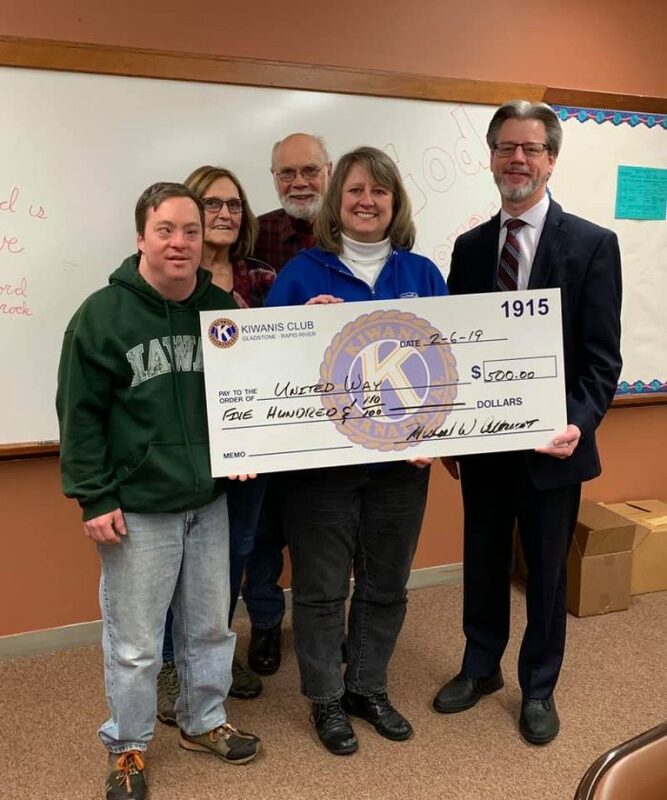 Members of the Gladstone-Rapid River Kiwanis Club presented a ceremonial check to Julie Mallard, executive director of the United Way of Delta County. The club is a longtime supporter of the United Way, and this year designated $500 to the United Way’s free book program for young children, Dolly Parton’s Imagination Library. Pictured are: Paul Angsten, Marilyn Albrecht, Ken Benson, Mallard and Alan Stotz.